Our new neighbors to the south removed the HUGE cypress trees whose roots had cracked our sidewalk. This is our new sidewalk. New fence to come later. New year, same old bad habits. I’ve been too busy doing other things to post a blog entry. 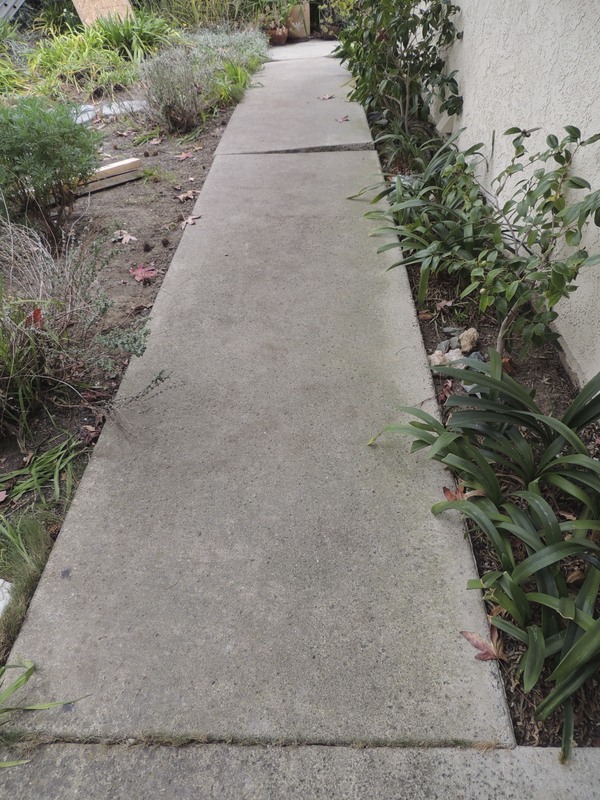 The sidewalk to our front door has lifted due to roots of our liquid amber (sweet gum) trees. We are having this repaired next week after the rain stops. 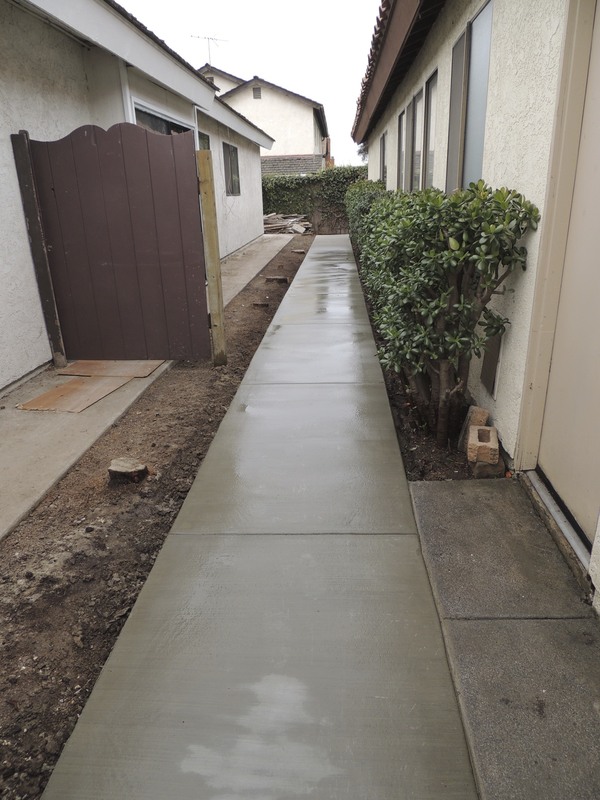 In addition to concrete work, we have had work done on the deck and both bathrooms inside the house. Also, my husband hired a cleaning crew that has been attempting to turn our pigsty of a home into something more suitable for humans. 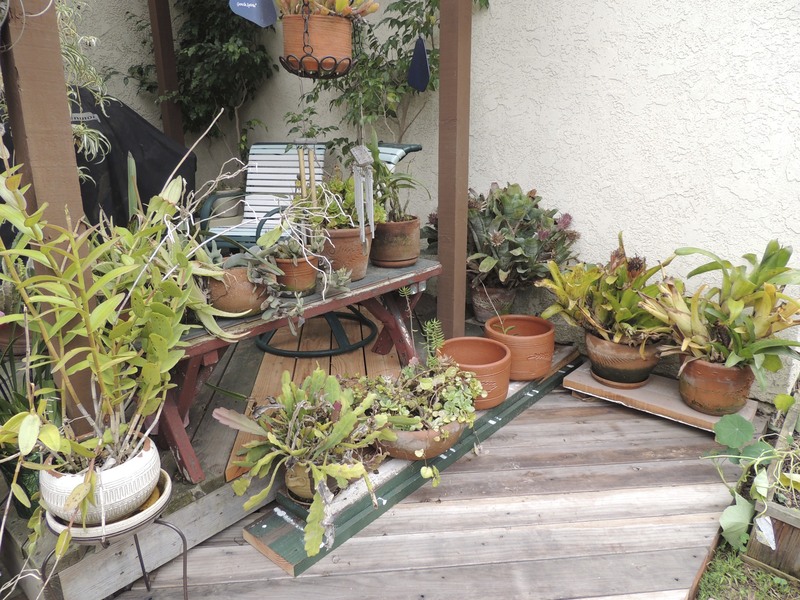 I would rather garden than clean, and it shows! The reason for this mad rush to get work done was my recent 70th birthday. We had a multi-day celebration with out of town guests. I may post photos later if I get around to it. Peep and Cheep will be six months old next week. Their combs and wattles have turned red. Can eggs be far off? This is Cheep. She is slightly lighter than Peep. 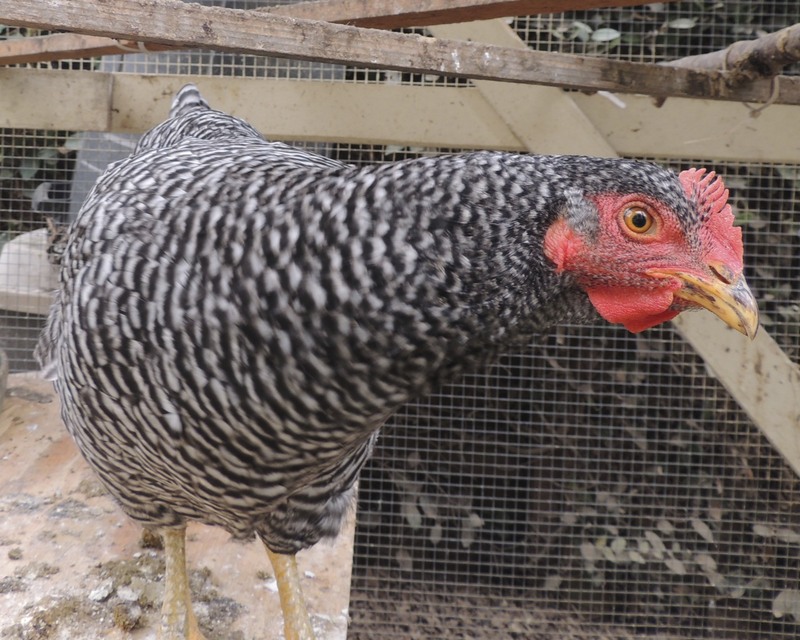 Miss Hillary, our two-year-old Barred Rock has gone into molt and quit laying. The next week, the Black Australorp named Henrietta, our oldest hen at age four (or is she five? I forget), began laying. I ran out of eggs that I had frozen last spring and actually had to BUY eggs even though we have five hens now. That seemed so wrong. 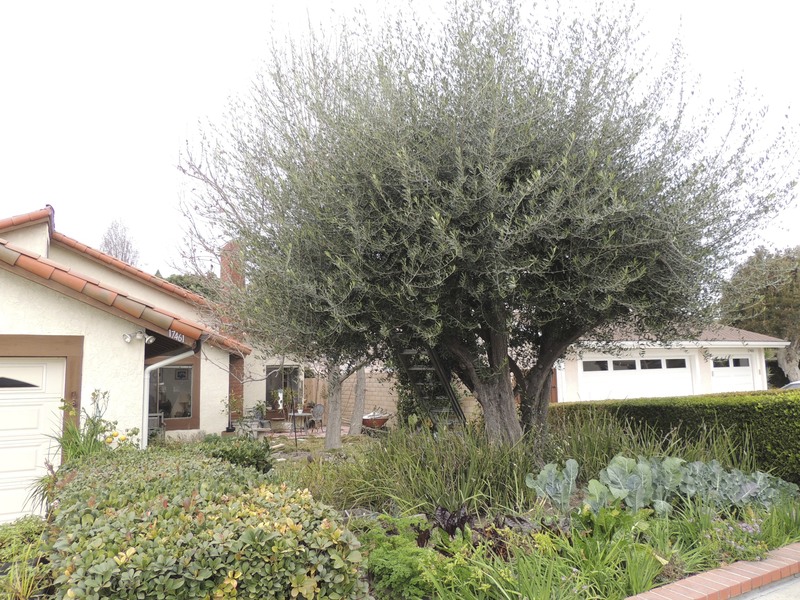 We decided to keep the olive tree. By “we” I mean my husband. So I had it trimmed this week. This is the before photo. 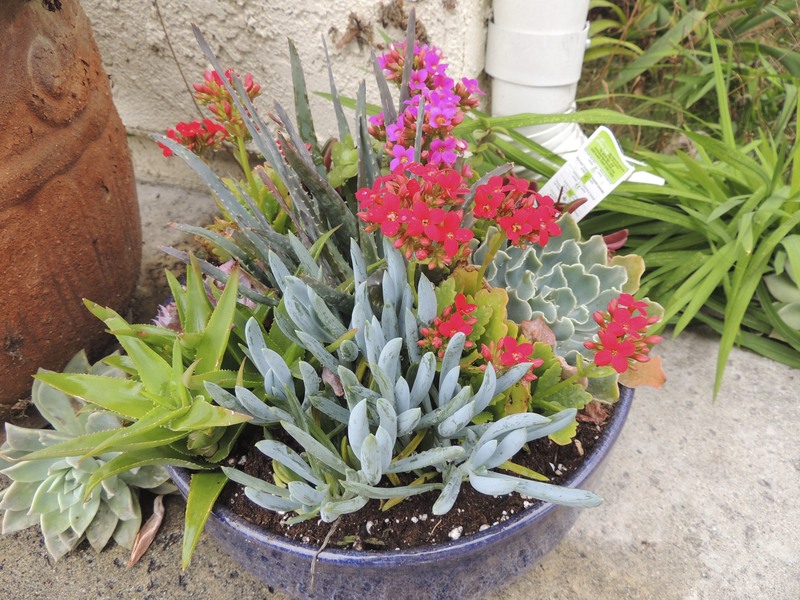 As part of my birthday celebration, I dressed up our front walkway with a new arrangement of succulents. 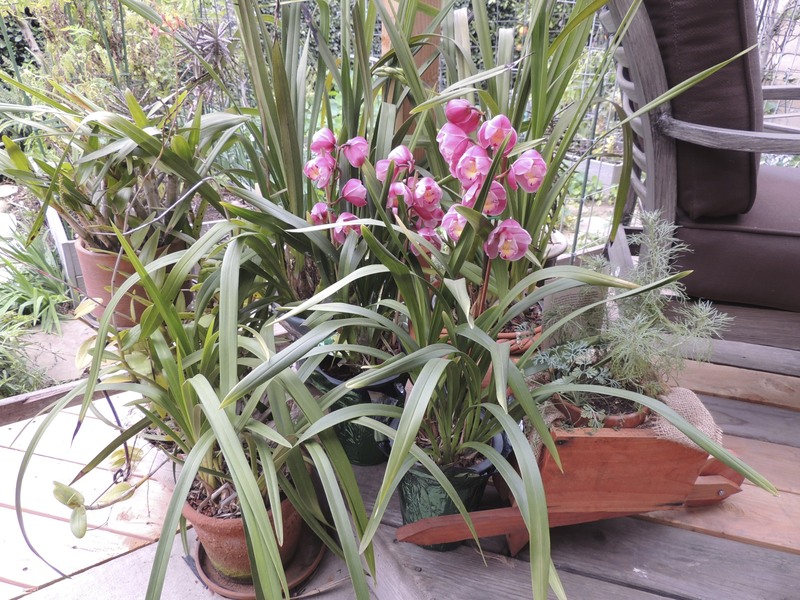 I added some new cymbidium orchids because the ones I have now are still a few weeks away from blooming and I wanted orchids in BLOOM for my birthday. The deck work didn’t get finished. It still needs sanding and staining. But I needed things put back on the deck prior to my party. I added some new plant stands to dress things up a bit. I used my new cordless rotary saw, cordless drill and electric sander to build a little plant stand using scrap lumber from the new neighbor’s home renovation project. 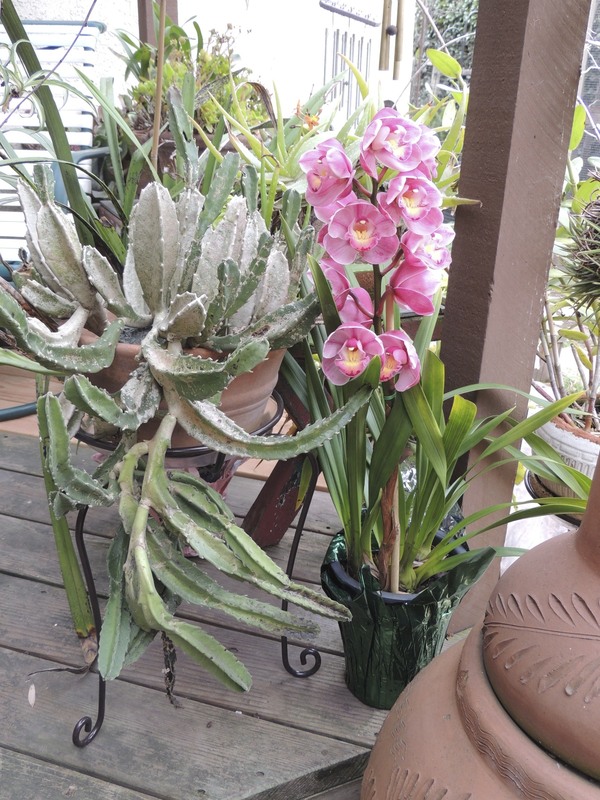 The one on the right has little legs to keep my plants off the new deck so they won’t rot it out. I still have to build the one on the left and then paint them both. Power tools are fun. 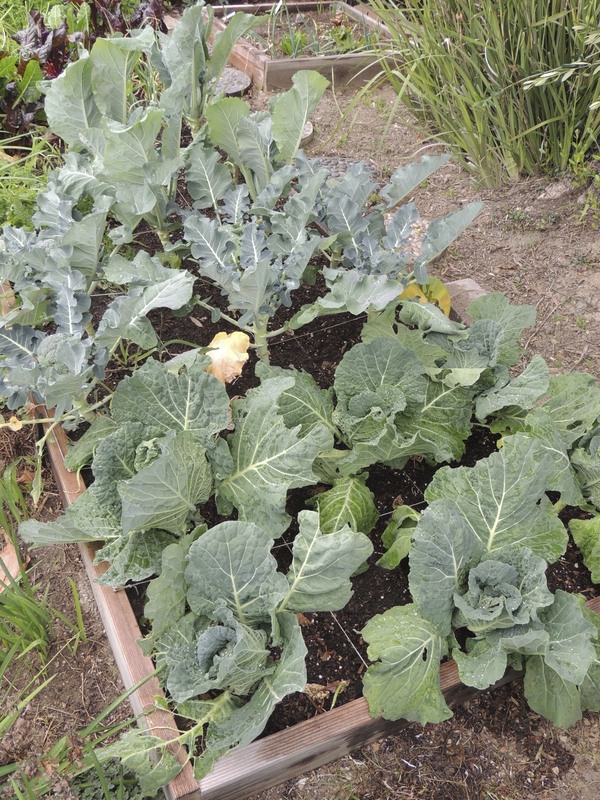 The raised bed in front is looking good with broccoli, cauliflower, cabbage, beets, and carrots nearing harvest readiness. These are the best looking heads of broccoli that I’ve had in years. 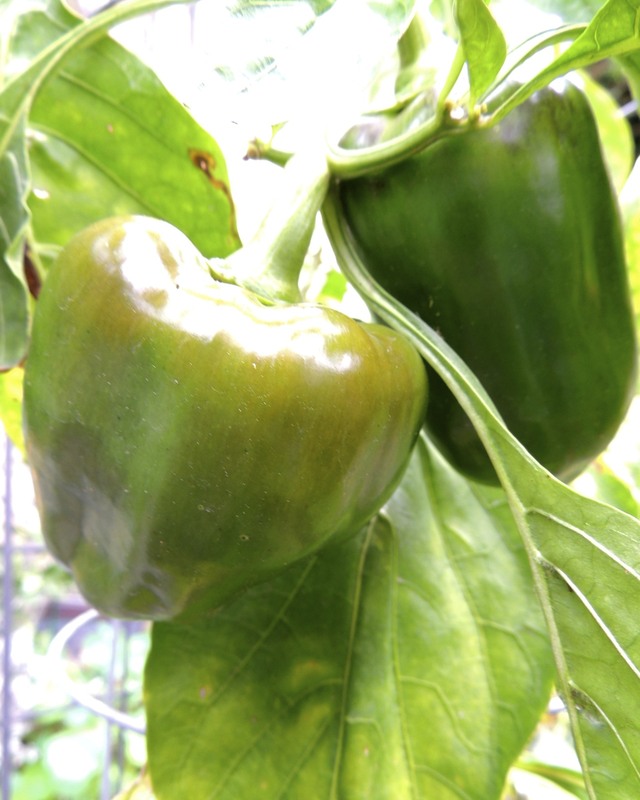 I have a few bell peppers nearing harvest, but these are the last of the season, set during an unseasonable October heat wave. 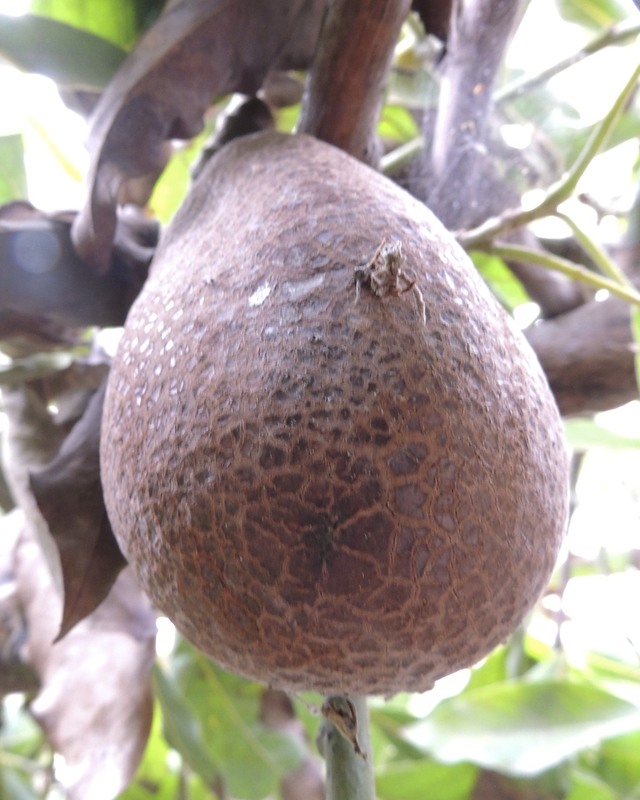 I have a few avocados left from last year’s fruit set. I need to harvest them so I can prune the tree before it is in full bloom. 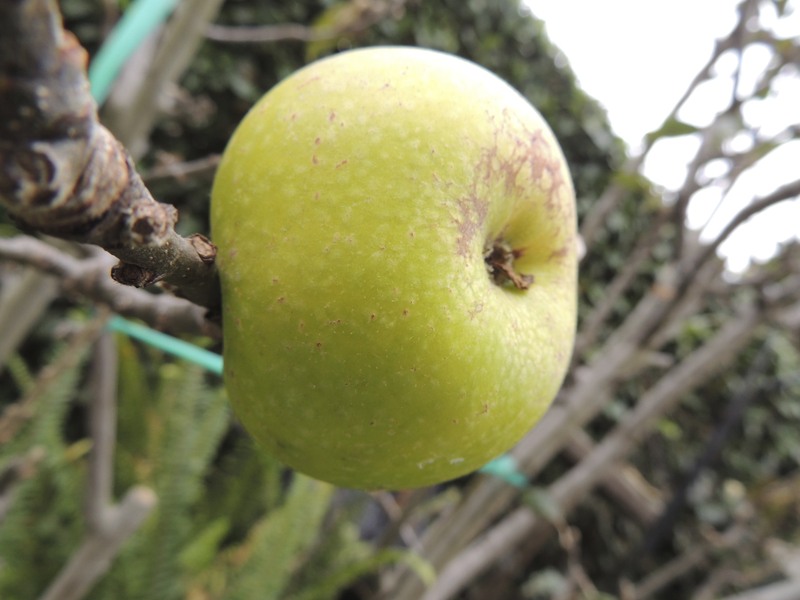 I have one small Granny Smith apple left on the tree that needs to go into a salad. 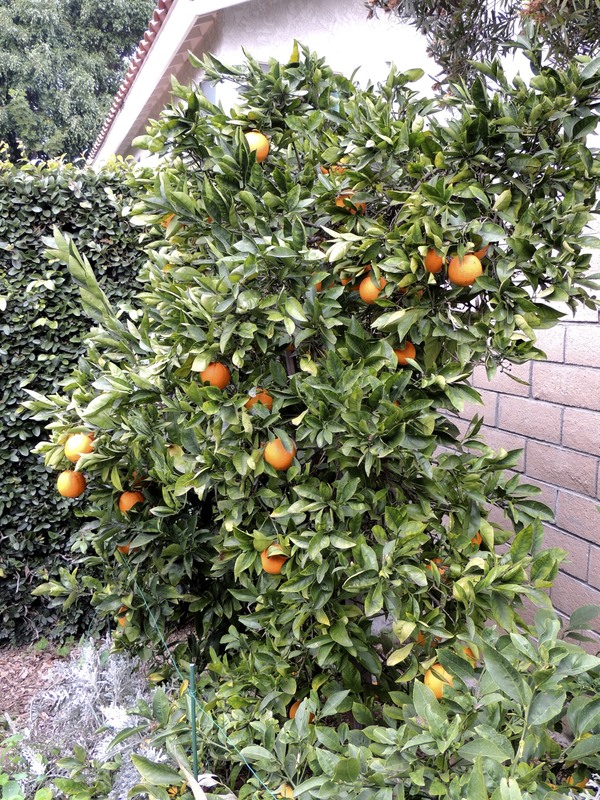 The navel orange tree set quite a crop last year, and the fruit is ripe for the taking. 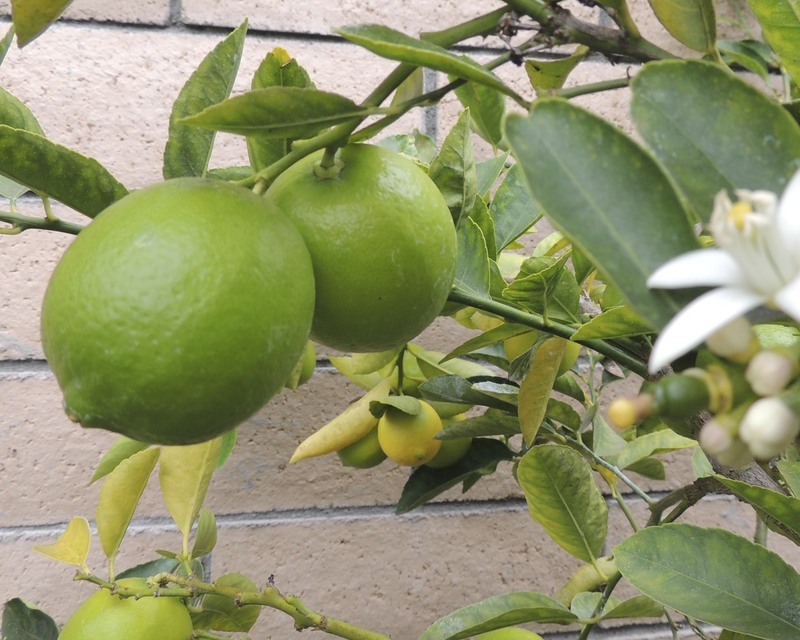 Ditto the Meyer lemon and lime trees. I need to squeeze and freeze juice from the lemons and limes so we will have it in summer when we want cold citrus drinks. These are limes. I managed to get some onions planted. Not sure they will all survive, but at least a few look like they are going to make it. 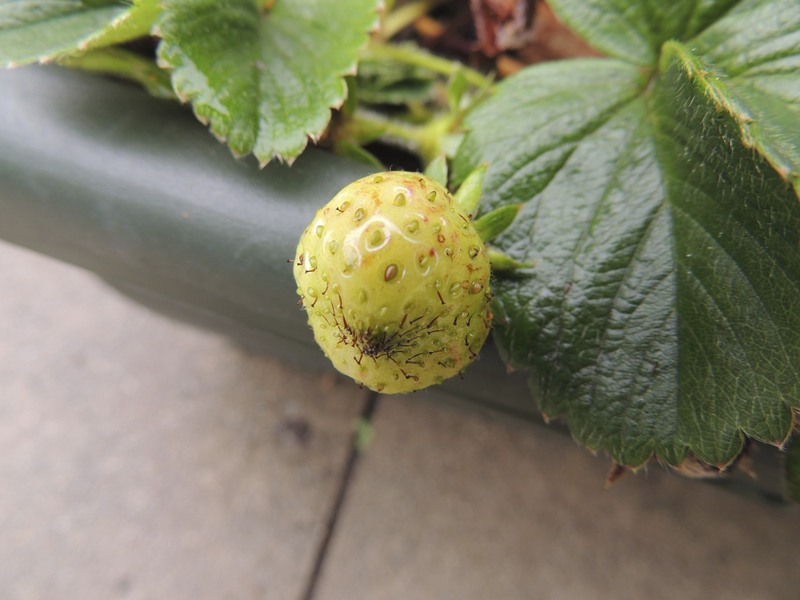 I’m growing strawberries in planters in the driveway, since I am out of room in the yard. A few berries are coming along. Oh look, it’s spring already. 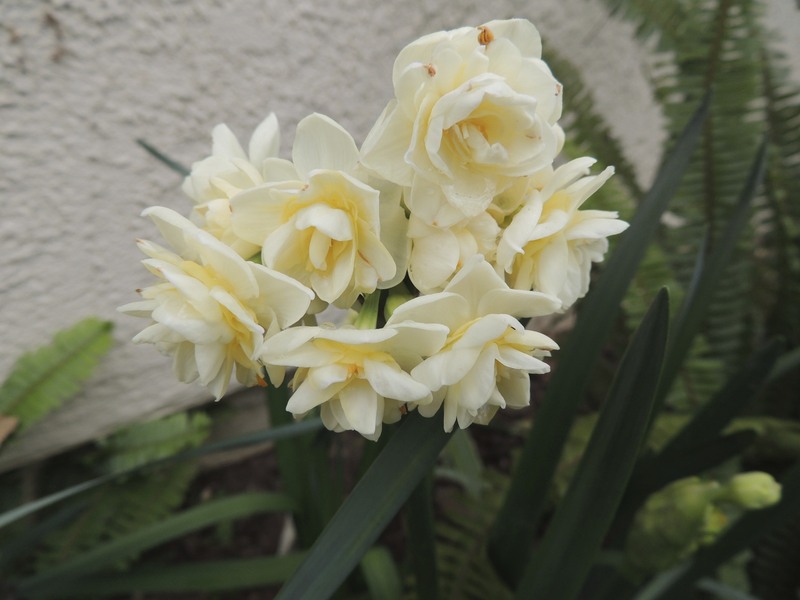 My paperwhite narcissus are nearing the end of their bloom, while these double narcissus are at peak. 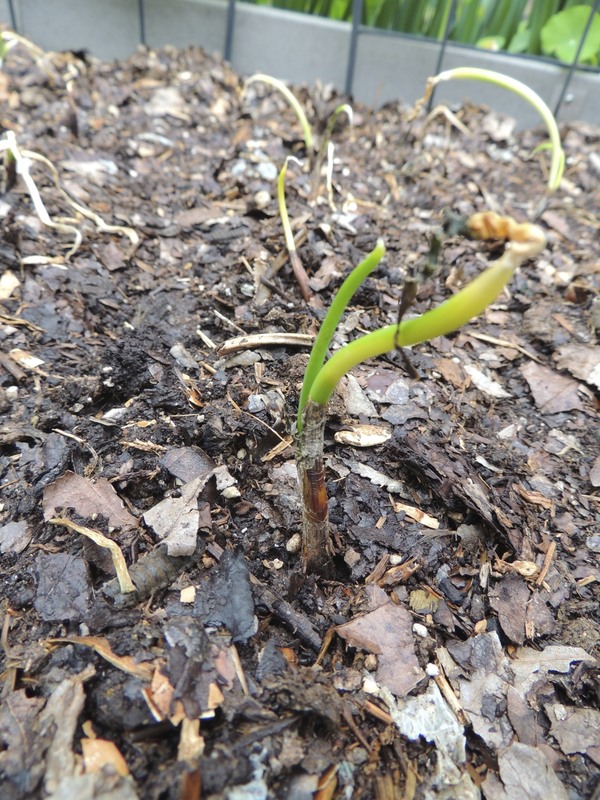 My daffodils are just now poking up out of the ground. As usual, I’m behind in planting my winter garden. I have no peas in the ground yet. Well, there is only so much time in the day. Speaking of which, I have to run or I’ll be late for work. Yes, I’m 70 and still working. No wonder my garden gets neglected. 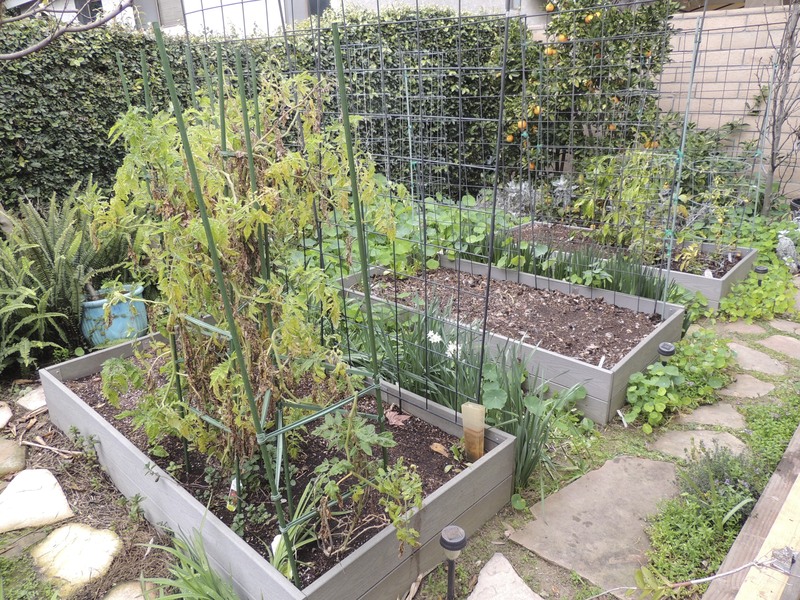 This entry was posted in Uncategorized and tagged avocados, backyard chickens, bell peppers, raised beds, southern California, strawberries, tomatoes, urban chickens, vegetable garden, vegetables. Bookmark the permalink. 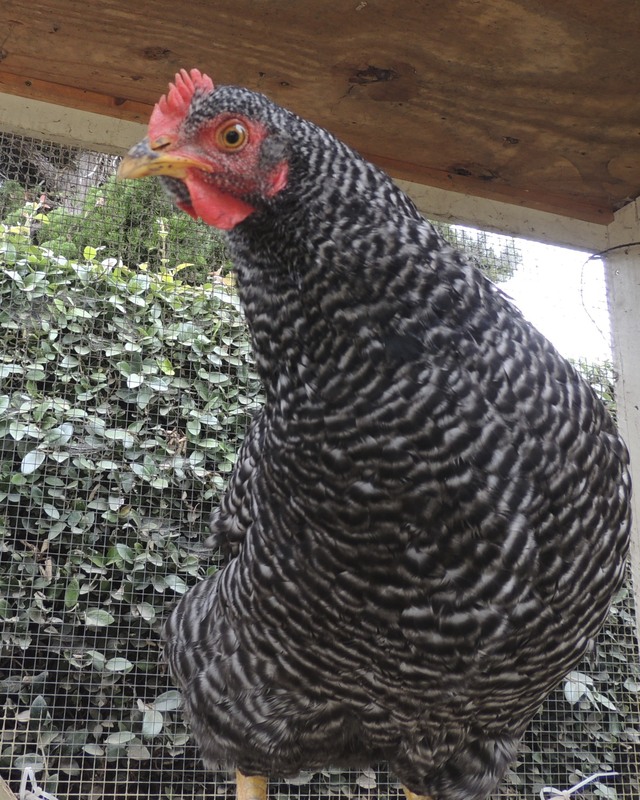 We ran out of eggs this winter when the girls stopped laying before the solstice. I just refused to buy any…I couldn’t do it! Thankfully ours have started laying again though. Your orange tree looks fabulous, and I can’t believe you still have peppers…at the same time your narcissus is in bloom no less! You’re so lucky. Clare, I can’t believe that I still have peppers either. It was only because of our unseasonable hot spell in October. As for eggs, try freezing some during the glut of April and May. I scramble the raw eggs very lightly, add a dash of salt to stabilize the proteins and freeze them two to a baggie. They are perfect for baked goods or casseroles in December and January when the hens aren’t laying. I will be doing that again this year. Happy birthday, young one! I’ll be celebrating my 74th. on Saturday. Oh, how I envy your garden, with fresh veggies and flowers. It’s been in the mid-twenties here, too cold to even venture out. Thanks, Ali. This year my citrus crop is really good enough to envy. We have lemons, limes and oranges coming out of our ears. A belated Happy Birthday!!!!! Love your new arrangement of succulents. Your veggie garden and fruit trees sure are producing. 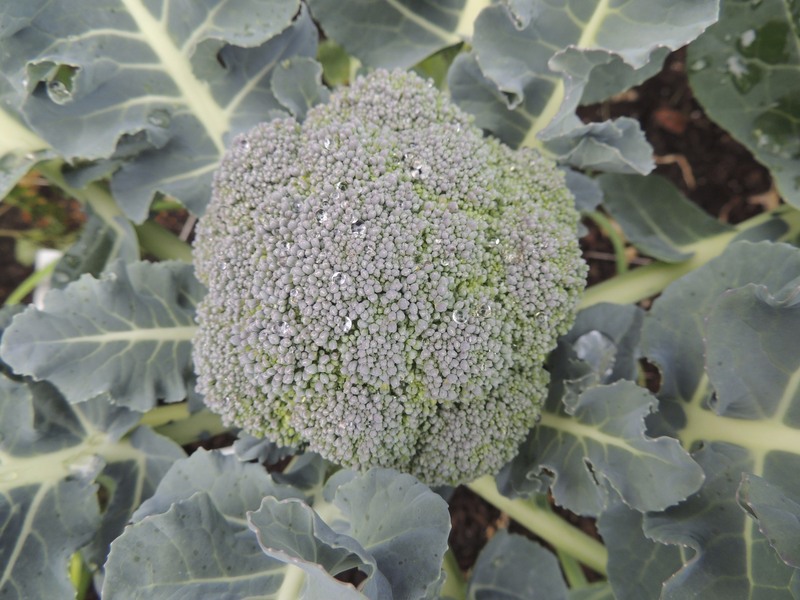 That is one gorgeous head of broccoli. Grounds are solidly frozen so are and snow in my part of the world. Will be a while before I can enter my garden. Thanks, Norma. I post pictures of our January springtime to give you Northerners hope. A thaw will come for your neck of the woods soon.